Since we are starting agility training, this will be an on-going expense. We spent $40 for the evaluation itself, and $120 for the actual classes, which will last till the end of February. After that, it will be about $30 per week till I get tired of it. We still have a lot stocked up, so we didn't spend much this month. I picked up some beef liver, pork kidney, and chicken gizzards while I was shopping at the Chinese supermarket. 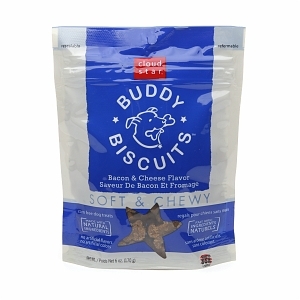 I was shopping online and needed another $4 for free shipping, so I picked a bag of Buddy Biscuits dog treat. It tastes really good. 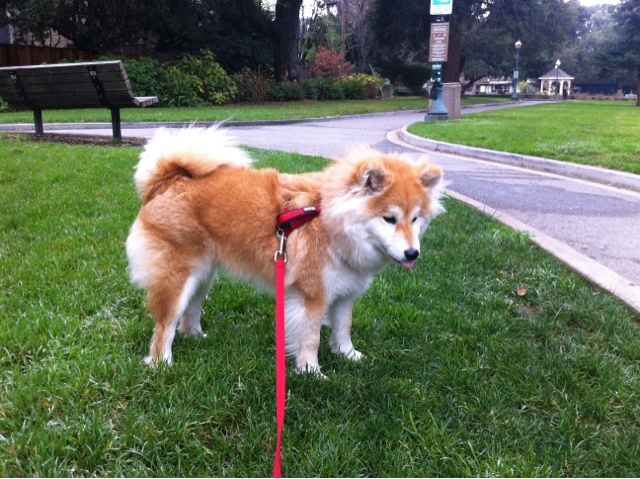 Even Maya's daddy, who always gives all dog treats a try, likes it. I'm not looking to Conker's vet visit in March. He needs a rabies stabbing, and if they give it, parvo/distemper but no others. I won't do more than two in a combo. He could also use a heartworm test. Plus his Luxating Patella needs a professional examination. I don't think it'll cost too much (about $170 at most maybe?) but I don't want to have "the talk" with the vet about what I feed him. Yep. I think from now on I'll just tell the vet I feed her pre-made raw or THK. It's kind of tiresome to make them understand I know what I'm doing.